New Homes in Historic Fuquay-Varina Experience the best of traditional North Carolina living just minutes from the urban amenities of Raleigh, RDU International Airport and the major employment center of Research Triangle Park (RTP). Located in charming Fuquay-Varina, Brookside offers home buyers the opportunity to purchase spacious homes from the high $320s. Surrounded by shopping, restaurants and local parks, the community provides a tranquil family-friendly setting to put down roots. Holly Springs Town Center is just 5 miles away with big box favorites, a cinema and more shopping & dining options. 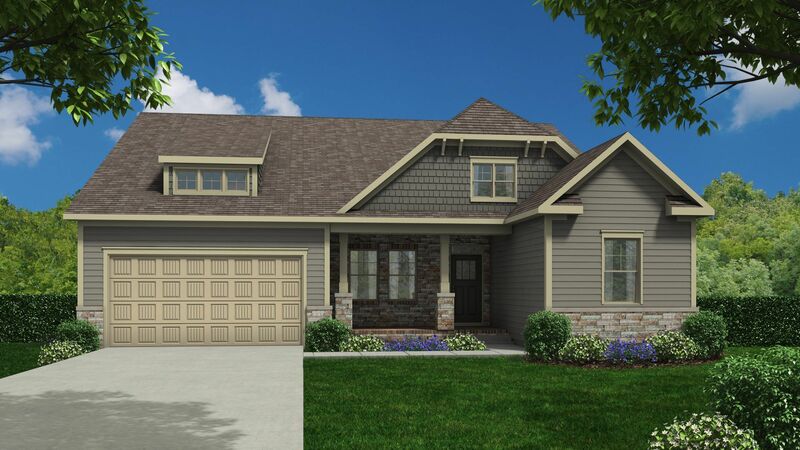 Brookside is located on Judd Parkway, convenient to Hwy-55, I-440 and I-540Ranch Style and 2-Story Home Designs Choose from 2 energy-efficient floor plans built to exacting standards by America’s Most Trusted Home Builder. Combining classic curb appeal with modern layout concepts, each open-plan home features an inviting covered porch, spacious great room with adjacent gourmet kitchen and a quiet first-floor owner’s retreat.2,195 to 2,935 Square Feet3 to 4 Bedrooms2 to 3 BathroomsRanch style & 2 -story homes2 Car GarageOwner’s Suite on first floor Love Where You Live in Fuquay-Varina Historic downtown Fuquay-Varina packs a big punch for a small town when it comes to dining, shopping and having fun. Go antiquing at Bostic and Wilson or hit up The Shoppes on Main with 30 boutiques under one roof.